Sensitive skin clients visit their esthetician for help with various shades of red, and it is our duty to try to determine the who, what, when, where and why behind their current skin condition. Just like the skin care industry, the environment has changed drastically over the last 25 years. It used to be that many clients thought they had sensitive skin, now many of them truly do. This article aims to better understand the many colors of sensitive skin, providing some tips on how to slowly and carefully analyze them to create a skin balancing treatment protocol. One of the most important parts of effective skin treatment is an in-depth client skin consultation. After all, the success of an esthetician is dependent on their ability to assess the skin and recommend the proper treatment protocol and home care. 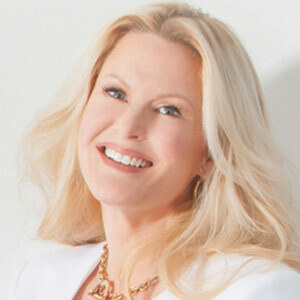 Every skin type, especially sensitive skin, cannot be solved in a 30-minute consultation facial. The consultation should be booked in 45- to 90-minute sessions to rule out transient skin conditions. The questioning cannot be rushed, and it is the esthetician’s duty to get the facts first and do no harm, especially if they are dealing with a client with an underlying medical disorder. Empty their bag. 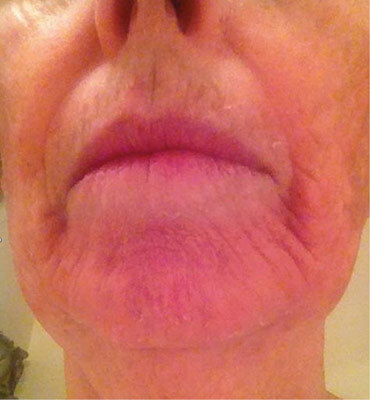 The first step to conducting a consult with first-time clients is to ask them to bring a bag of everything that touches their faces on a daily basis to evaluate these products as critical evidence leading to the “why” behind their skin condition, among other factors, like lifestyle, stress, medications, diet, etc. Some clients are healthy but have sensitized their skin due to overuse of glycolic, facial devices or brushes, topical bleaches, like hydroquinone, retinoids, etc. This is commonly called cosmetic intolerance syndrome (CIS), which has compromised their barrier function. Intake forms. The second part of the consultation is the intake form. Intake forms include important questions on health conditions, medications, past and current diseases, surgeries, allergies, current skin care products, environmental exposure, exercise and lifestyle habits. Skin care professionals should use their biology and histology knowledge to evaluate the answers and ask for further clarification, if necessary. This in-depth questioning lets the client know that you do your due diligence before making the most informed and educated conclusion on the best possible home care and treatment recommendations. It also allows the esthetician to build a bond with the client and to show her we care. Asking questions. As you review their health history, ask questions about their family from parents to grandparents in regards to any known skin conditions. Also ask about heredity, looking for ethnicities that have a predisposition to rosacea, such as Native American, Irish, Russia and Asian ethnicities. Always ask if they have ever had reactions to topical products, medications, foods, perfumes and dyes. Extracting as much information as possible before even touching their skin will make your job much easier when it comes time to do an investigative facial. Without in-depth investigative questioning, we cannot successfully help our sensitive clients. Prior to touching your clients, sit down with them and begin a lengthy in-depth investigation beginning with a silent, visual analysis of their skin as you walk through the intake forms together. Whenever possible, have clients come in without any makeup on the first time they see you. As estheticians, our most valuable tools of detection are our senses, most importantly our common sense. The first indication that you are dealing with sensitive skin is color. We are not talking about temporary redness linked to sunburn or exercise, but rather lasting redness, which can signal sensitive skin and indicate that something is wrong. When a skin care professional recognizes underlying redness, they must become a skin sleuth and get to the bottom of what is causing their client’s skin condition. Train your eyes to look for and spot any sign of redness, not just in their faces, but also down to their fingertips. If you only see redness on the face, you must delve much deeper. However, if you see a ruddy undertone from the face to the fingertips, it may be linked to their natural Norwegian, Native America or German undertone. If you see couperose or telangiectasia, it may be caused by UV damage, injury or could it be a chronic condition, like rosacea. White rings around the mouth and/or eyes could be a sign of rosacea. If your client has static swelling and redness of the cheeks, the delicate eye area will present white in contrast to the redness or edema, which looks like white rings around the eyes. This is the easiest way to identify rosacea. The same theory can be applied to the mouth area. 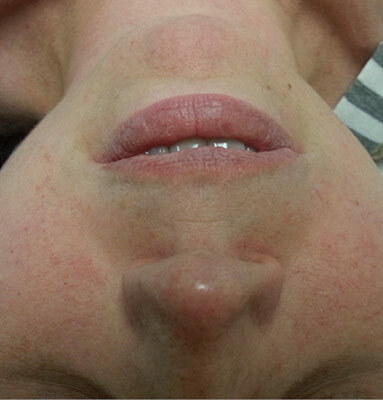 When the chin is swollen and constantly red, you will see a ring around the mouth. 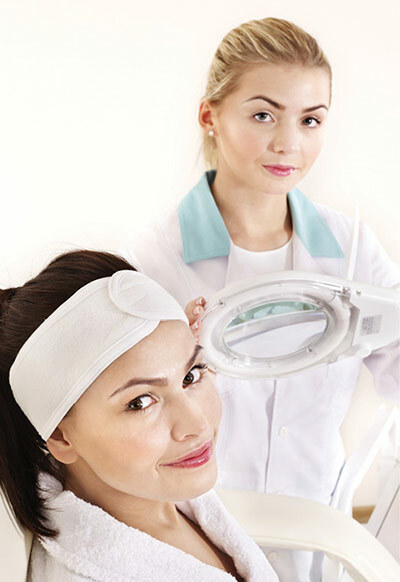 Skin care professionals can also assess a great deal with their eyes and tools during treatment. A skilled esthetician can see deeply into the skin of a client and “read” it, as Metaxia Dalikas, founder and CEO of Lira Clinical, often says. Use the following four guidelines to recognize sensitive skin during a treatment. 1. During cleansing. When a client’s skin becomes pink from a good facial cleansing, but the redness subsides within minutes, this is not a sensitive skin type. These clients are sometimes translucent and or naturally vascular, but healthy. These clients will exercise and become pink due to blood flow and oxygen coursing through their veins. Because of their translucent skin, we see a flushed appearance, but this does not mean that they are sensitive. 2. During touch. When a client turns pink with touch and it stays that way for a period of time, she can most likely be classified as sensitive. You still can’t be sure without further trials. 3. Without touch. Those who have pink to red rosy cheeks all the time can be classified as sensitive. 4. Dry or oily. Once sensitivity is established, identify whether they are dry or oily and if they are warm to the touch. Sometimes the oil production can be caused by an underlying sensitive condition, not because they are an oily skin type. In these cases, calming their sensitive skin can reduce the sebum production and eliminate the oily skin. However, some sensitive skin clients suffer from a condition called seboratic dermatitis, where their own sebum can irritate their skin causing rough patches of silvery, scaly skin around the ear, in the hairline or scalp. These clients need to see a dermatologist, but skin care professionals can help these people control sebum and thus manage this disorder. Reactive skin is usually reactive to cosmetic ingredients, like perfume, dyes, etc. These people may or may not be allergic to the cosmetic ingredients. If these individuals were allergic, they would go into anaphylactic shock or acute hiving. A reactive skin type can take up to two weeks to react or react immediately, which would be considered cosmetic dermatitis. Estheticians do not want a reactive skin type to suffer even the slightest bit, so look for ingredients that the reactive skin can manage and even utilize to boost the immune system to reduce their reactivity. Oftentimes, environmental aggressors can cause this. It helps to evaluate exactly what products the client has been using for the past several months by reading the ingredient labels to look for fragrance, dye and certain preservatives and chemicals that easily cause sensitive skin to react. There are skin care companies that have gone to great lengths to either buffer actives for deep and gentle penetration to eliminate surface reactions, or gluten testing and dermatologic testing for their ingredients. As the shades of red become deeper and static, the client becomes always flushed. This is a cause for concern because the skin is in a constant state of inflammation. Redness and inflammation should be a cause for alarm and an esthetician’s top priority over wrinkles and sun damage. Trusted home care products are the first step on the path to correction, not facials. Once we have identified possible product or environmental causes of our clients pink to very red skin, we need to provide daily home care before we can begin treating them. Think about it, we must repair before we can rebuild. We need to identify if they are either inherently sensitive, like their family members or they are reactive to common cosmeceutical ingredients. It is good to have a product line that does not contain fragrances or dyes to recommend and use on sensitive clients. After using your eyes, ears and mind to conduct a thorough intake, it’s time to get the client on the table to provide her with a calming, soothing and cooling facial treatment to see how she responds to gentle professional products. It is important throughout the process to use cooler temperatures and not heat to reduce inflammation. Don’t use steam or even hot towels. In fact, keep cellulose sponges and terry towels to a minimum. Keep the water temperature cool and use soft disposable 4 x 4s or microfiber towels. Consider using filtered water on these people, as fluoride, chlorine and hard mineral deposits can contribute to skin sensitivity. Cleanse. Using latex-free gloves, cleanse skin with a gentle sulfate-free cleanser. I prefer a creamy cleanser for the first cleanse and a gentle enzymatic cleanser for the second cleanse. Use cooler water and watch and feel for textural and visual changes as you massage. Pay attention to any color changes during cleansing will allow the skin care professional to making a decision on what exfoliation solution to select. Rinse. A common mistake in facials is not rinsing. Cleansers have a pH that remove debris and should be rinsed, allowing estheticians to proceed to our exfoliation step. The skin should be soft and free of bacteria for the exfoliation step, so take your time and don’t rush the rinsing step. Exfoliate. There are many professional brands selling enzymes. Research and try different enzyme products to identify favorites. However, never use steam. Manufacturers will have enzyme technology that does not require steam or heat to activate an efficacious enzyme. Calm and soothe. Consider mineral toners that pH balance, calm and soothe after exfoliation as well as every time you use water on sensitive clients. A calming mineral mist can neutralize the not-so-nice elements found in water and soften the skin to receive serums and masks at a deeper level. Massage. Remember, sensitive skin is already on high alert, red and often warm, so massage should focused on pressure point, pressing and little stimulation. Do a neck and shoulder massage after conducting a pressure point on the face with a soothing serum or ampoule. Mask. If the sensitive client is dry, focus on gentle, soothing and hydrating masks with barrier repairing oils and stem cells. Oilier sensitive skin benefits from a gel type mask of aloe or minerals like colloidal silver. Both are applied when cool. Wrap the mask with a cold, wet microfiber towel to keep the temperature cool and prevent the mask from evaporating out from the skin. Rinse gently and use a mist. Recommend home care. At this stage in building a bond with your client, you’ve “earned the right to recommend” home care products to your sensitive client. Review with them what conclusive evidence you discovered during their facial that substantiates why they are experiencing their current condition. You have more credibility now that you have looked, listened, touched, and evaluated the evidence. Finishing serums and sunscreen. The finish should be the product you think your client should go home with. This way, you can educate and sell as you are finishing the facial. It gives you time to answer any questions about the products and ask them how they like the feel and smell of these products. The retail sale must happen, as we conclude and before we rebook the next facial. This article appeared in the August 2016 issue, see what else was in this issue's digital edition.